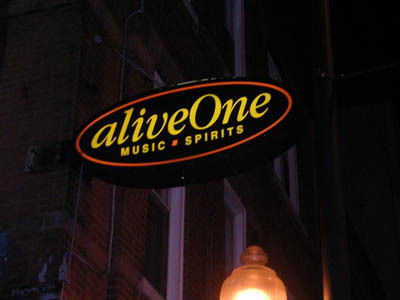 ALIVE ONE has an atmosphere that can be described as cool and casual. The beer selection is one of the biggest reasons to stop in, but the jukebox is definitely reason numero uno. This is because it only contains live albums, giving the bar a feeling of live entertainment even when it's being pumped in through the speakers via a jukebox! The drink prices are surprisingly low, and there are pool tables here to give you something to do while you wait for them to play your favorite songs. We're also big fans of the thick cushioned couches. This is definitely one of the most comfortable places to just kick back and chill with your friends.